Pet Health: The statistics are staggering. A 2012 veterinary survey by the Association for Pet Obesity Prevention revealed 52.5 percent of pet dogs and 58.3 percent of cats are overweight. That equates to 80 million pets at risk for weight-related disorders including diabetes, arthritis, hypertension, several cancers and a shortened life. Another startling discovery was that 45 percent of owners were stunned when a veterinarian said their pet was overweight. They simply don’t see it. Too much food, along with tasty tidbits from human meals compromises any pet’s health. The same can be said for humans. In fact, overweight owners, in my unscientific observation, are more likely to over feed their pets. Certain breeds showed greater risk for excess weight. Of the nearly 1,500 dogs in the survey, 58.9 percent of Labrador retrievers and a whopping 62.7 percent of golden retrievers were classified as overweight or obese. It has been reported that veterinarians continue to see an escalation in the number of overweight cats and an explosion in Type 2 diabetes cases. Claims filed with Veterinary Pet Insurance Co., the nation’s largest pet health insurance provider, has seen pet obesity-related claims soar. In 2012, policyholders filed more than $34 million in claims for conditions and diseases that can be caused by excess weight. Taking your pet to the veterinarian for regular wellness visits is the most effective way to monitor their weight. Daily exercise, a regulated diet and watching for signs of weight gain are important steps toward avoiding obesity and related health issues. As mentioned, these statistics are no laughing matter. Most pet owners don’t think twice about feeding their pet table scraps and fatty foods, but doing so increases the risk of unnecessary health problems and shortens their life expectancy. Overfeeding a commercial diet can lead to the same issues. If I fed my Newfoundlands what the kibble bag recommends (based on weight), they’d blow up like balloons. They get approximately half, if not less, than the recommended serving size, split into two meals a day. EZ Vet is your companion to a healthy pet! 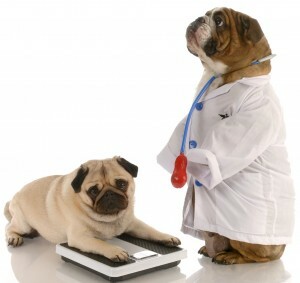 Visit an EZ Vet kiosk regularly to monitor your pet’s weight and health. 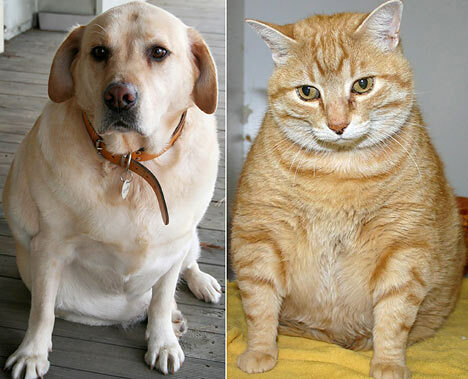 Share the post "Pet obesity tied to major health issues"